When you think burger, you automatically think meat, but we’re here to change that. 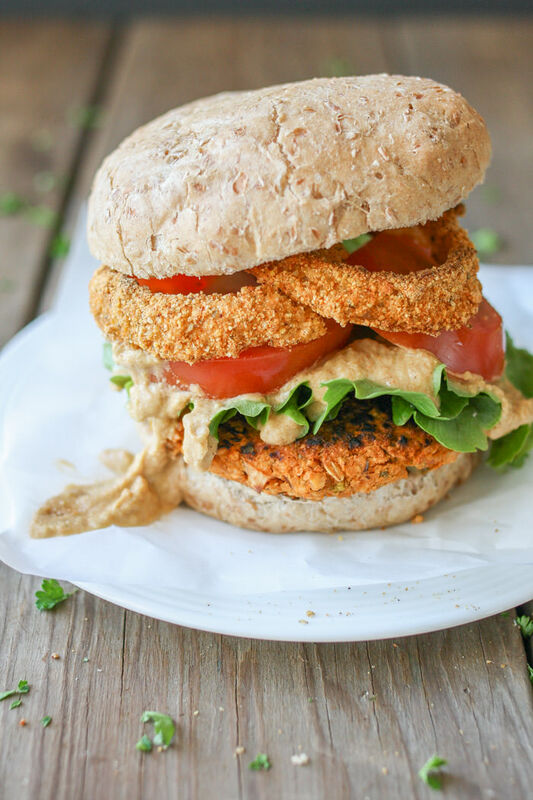 These vegan friendly burger recipes are delicious, healthy and juicy like the real thing. Made in a variety of different ways from beans, chickpeas, pulses, tofu, mushrooms, there is something for everyone to enjoy and a great way to get your vegetables in, in a unique way. 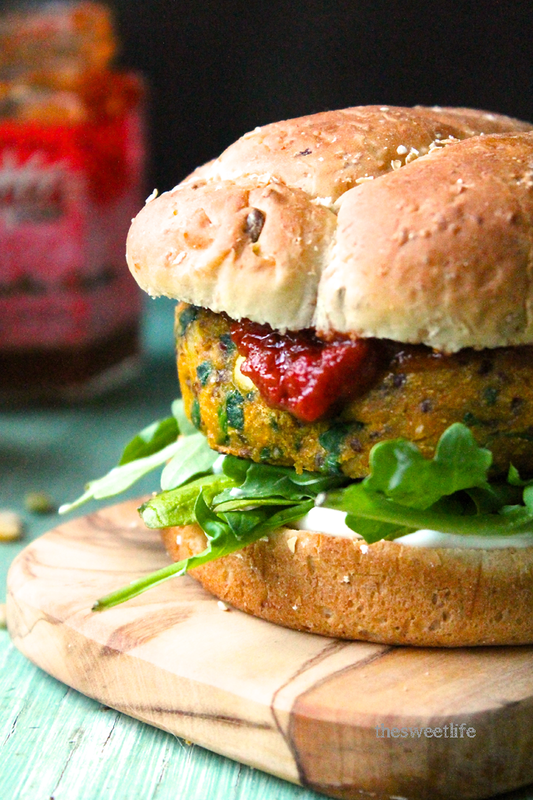 Here are 27 vegan burger recipes that will help you lose weight and feel amazing. Save and share your favourites on your social media. 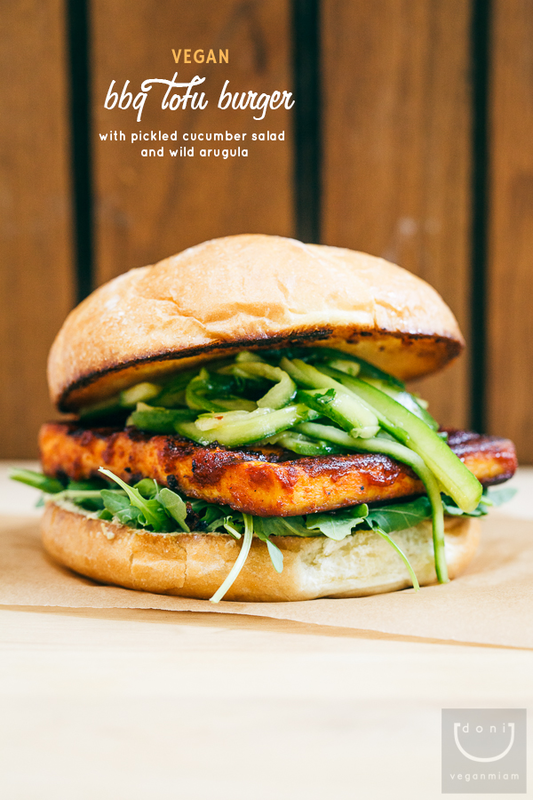 “Ever had a vegan BBQ tofu burger with some Asian flavors? I like having pickled cucumbers in a typical vegan Asian burger. My favorite filling consists of pickled cucumber slaw, toasted sesame oil, good vegan hamburger buns, greens, BBQ tofu and Sriracha sauce.” Recipe: VeganMiam. 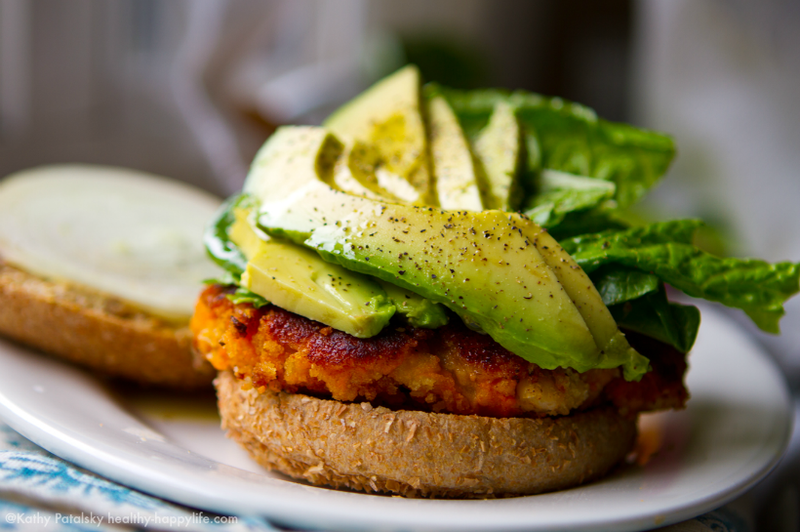 “These Sweet Potato Tahini Bean Burgers are super easy to make. Satisfy your burger craving in a flash. And while you are stacking toppings, humming happy burger-eating music, sipping lemonade, ginger ale or iced tea, crunching baked french fries, tater tots or chips – basically feasting however you like – you can laugh at anyone who thinks a “real” burger can’t be vegan.” Recipe: LunchBoxBrunch. “How oh how does one eat this mammoth stack? The Wow-burger is all about presentation. To serve, I simply remove the top “burger” layer and serve that as is. Then if everyone is extra hungry you have a half burger leftover. Or you can add some more toppings to the other half and serve two full burgers.” Recipe: LunchBoxBrunch. 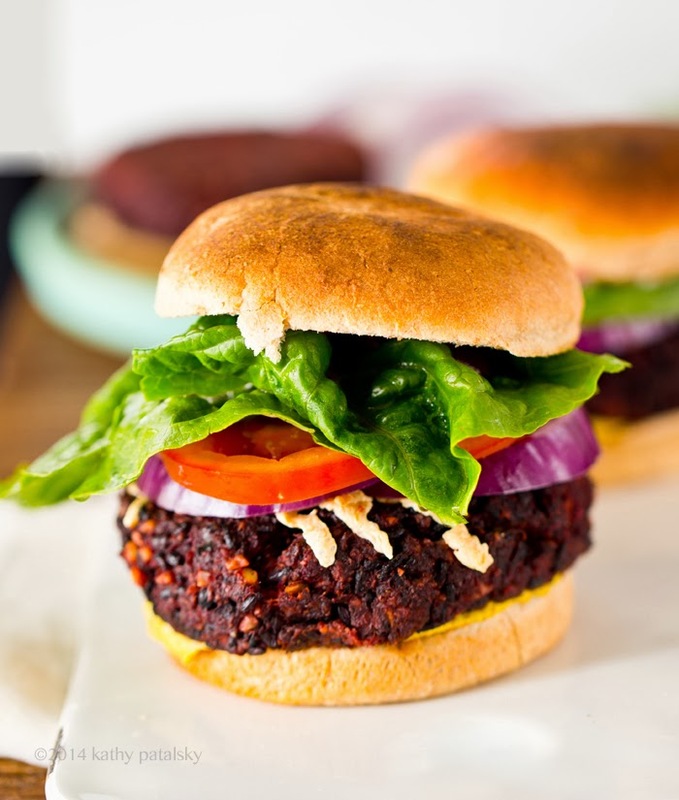 “10-ingredient, smoky black bean beet burgers with walnuts, quinoa, and a blend of spices. Hearty, nutritionally dense, and simple to prepare.” Recipe: MinimalistBakers. 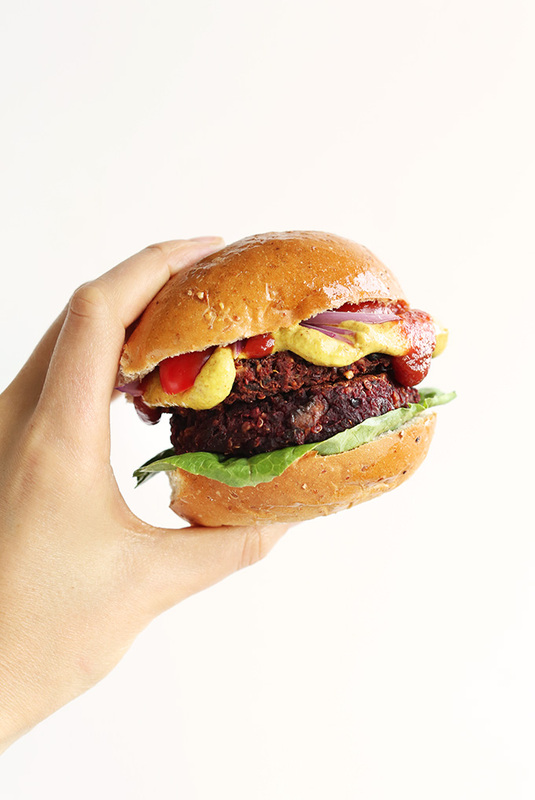 “The ultimate indulging plant based burger. Buffalo sauce flavored, filled with veggies, and paired with amazing toppings, this burger will erase all others from memory. Meat who?” Recipe: VeggiesDontBite. 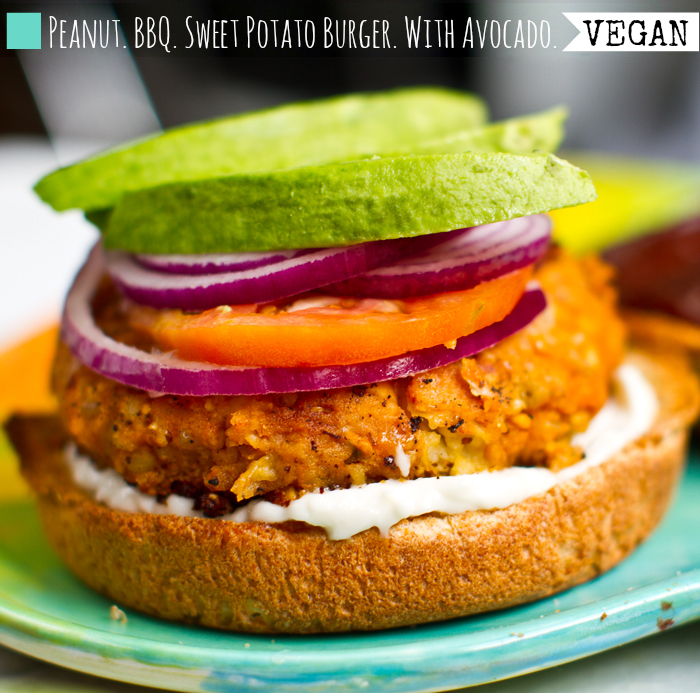 “These BBQ Peanut Sweet Potato Burgers are a spin on one of my fave veggie burger recipes. This time around, I added in some bold BBQ flavors via dry BBQ spices and smoky sweet BBQ sauce. Plus some nutty, amazing crushed roasted peanuts to pump up the burger texture. 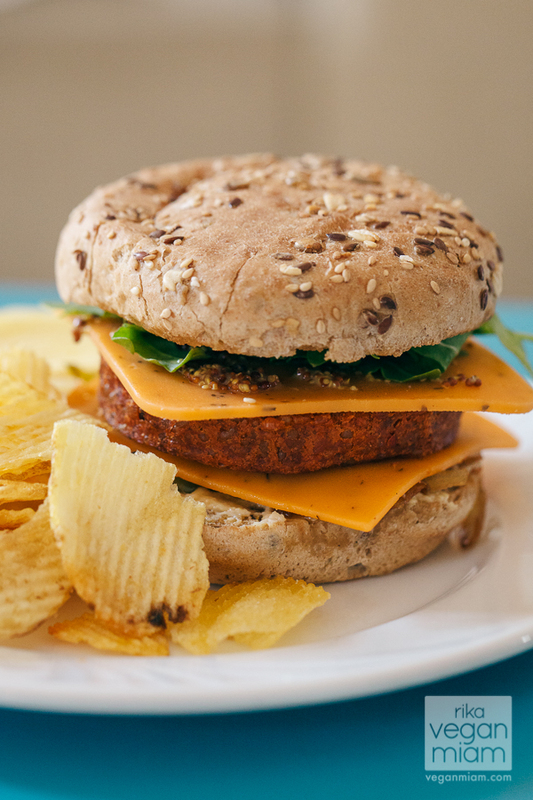 Crushed nuts in general, taste amazing in veggie burgers.” Recipe: LunchBoxBrunch. “So for this post, I’m sharing one of our meals in Valencia, Spain: the Vegan Provençal Cheeseburger with Violife Tomato & Basil Cheese slices, Provençal hamburger patty by a Spanish brand Natursoy, arugula, whole grain mustard, hummus, sautéed green bell peppers and onions, and of course, the salt & vinegar chips from the supermarket Carrefour in Spain.” Recipe: VeganMiam. 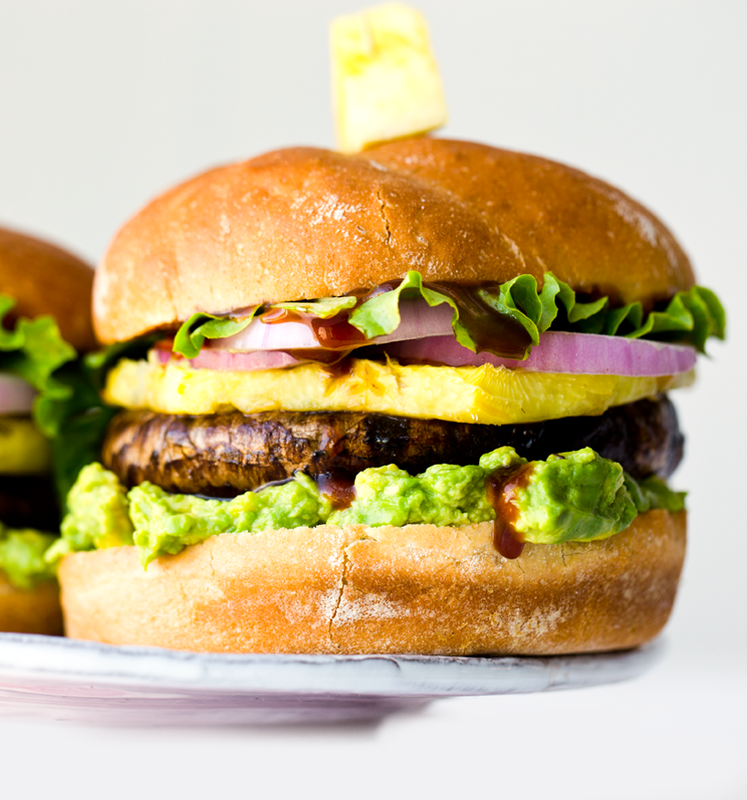 “Today I am sharing my DOLE Pineapple Teriyaki Portobello Burgers, with avocado, made using homemade teriyaki sauce and freshly sliced, juicy-sweet pineapple rings. I slathered my portobello mushroom caps in teriyaki sauce and roasted them in the oven to perfection. 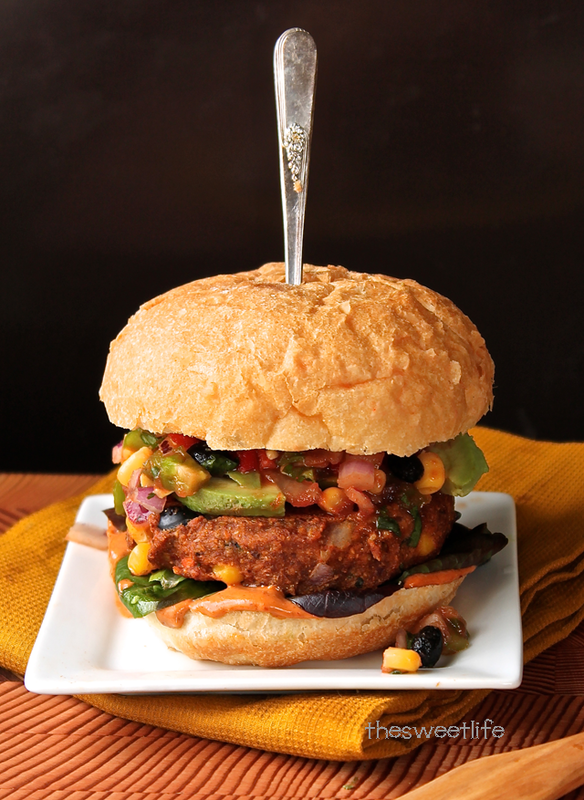 So much juicy flavor in each bite of this monster veggie burger!” Recipe: LunchBoxBrunch. 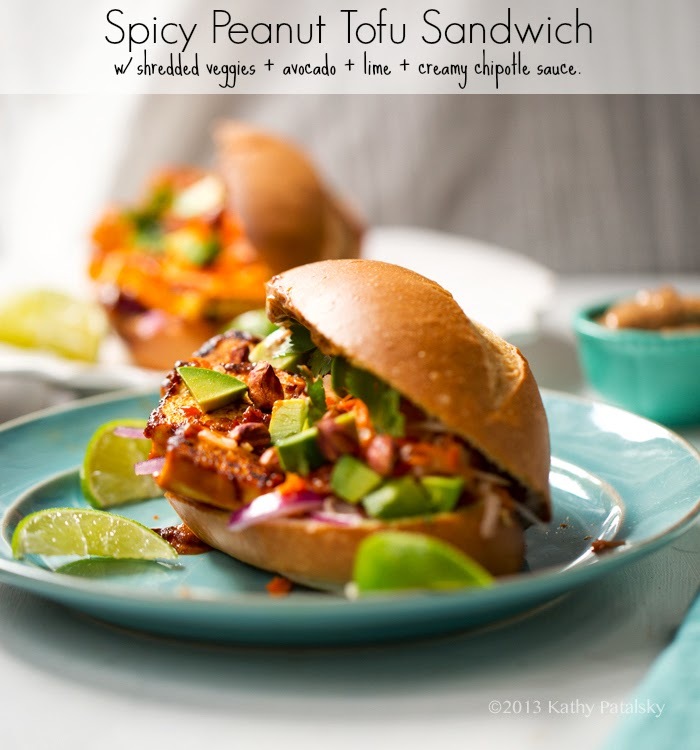 “This Spicy Peanut Tofu Sandwich reminds me of a “bánh mì” Vietnamese sandwich due to the crunchy shredded veggies mingling with fresh cilantro all served on a hearty baguette style, long sandwich roll. But really, this protein-infused recipe has an identity all its own.” Recipe: LunchBoxBrunch. 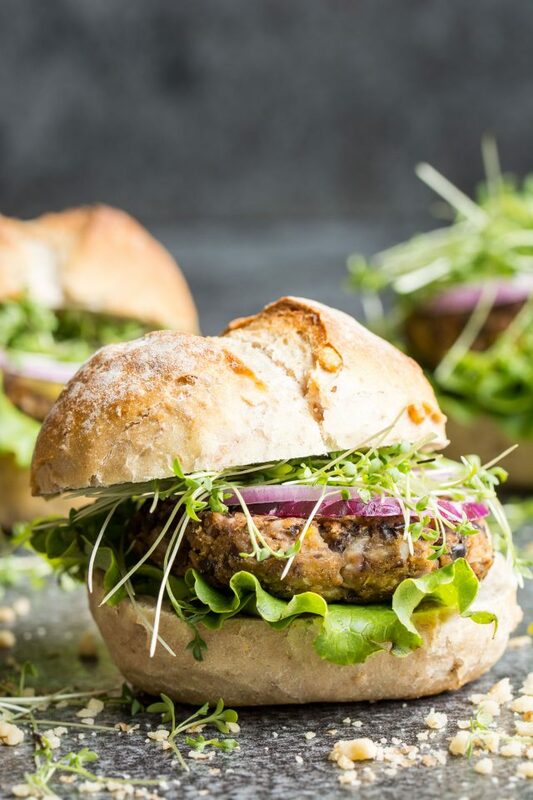 “Spicy Green Lentil Burgers have lots of texture, wonderful flavor enhanced with the spices and one of the best veggie combinations you could ask for.” Recipe: VeganInTheFreezer. “Neat is a healthy replacement for meat the comes in three different flavored mixes: Original, Mexican, and Italian. Before sampling the product, I took a look at the list of ingredients and was pleased to find Neat contains only nuts, chickpeas, oats, cornmeal, and spices. Meaning these meat-substitutes contain no dairy, no gluten, no soy, and no processed or impossible-to-pronounce ingredients.” Recipe: MyDarlingVegan. “Spiced Lentil Walnut Burgers. 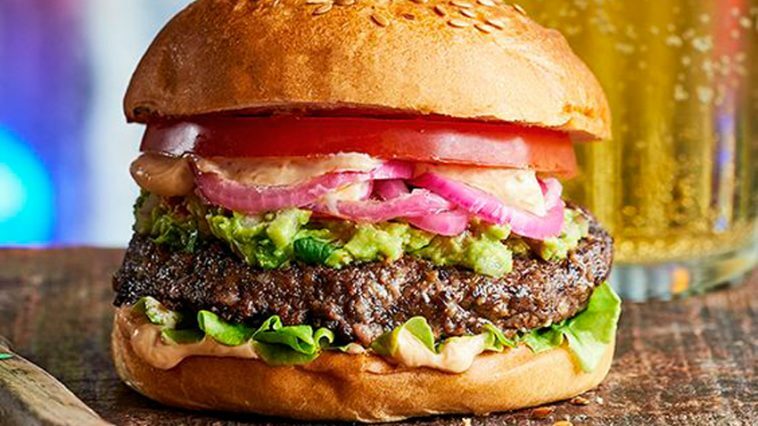 Easy Flavorful Burger patties with avocado ranch. Vegan Burger Recipe. Soyfree Easily gluten-free. 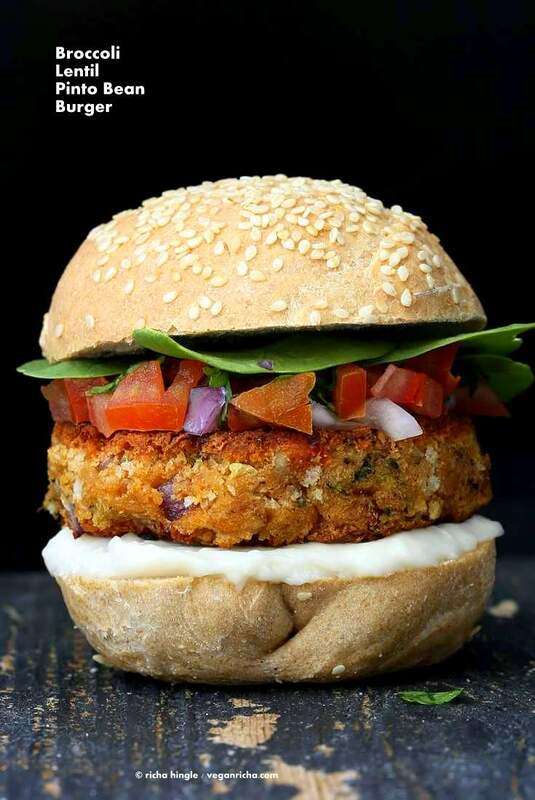 Serve as burgers or over salad.” Recipe: VeganRicha. 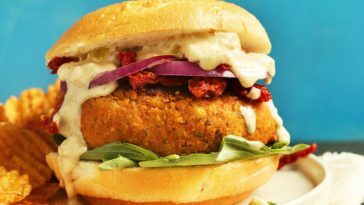 “Fueled by Za’atar fever, I decided to make Za’atar chickpea burgers, using the recipe for the filets as the foundation. 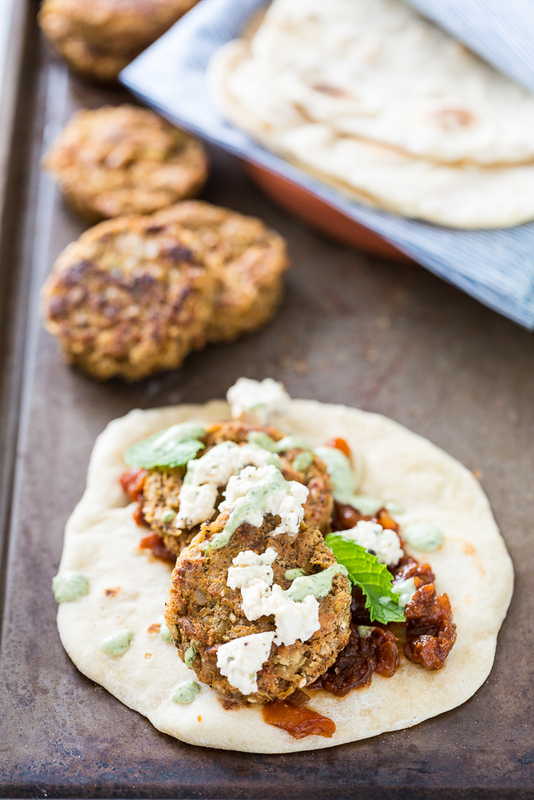 These burgers have a beautiful, layered middle-eastern flavor (think: sophisticated falafel) and were also a huge hit over here.” Recipe: KeepinItKind. 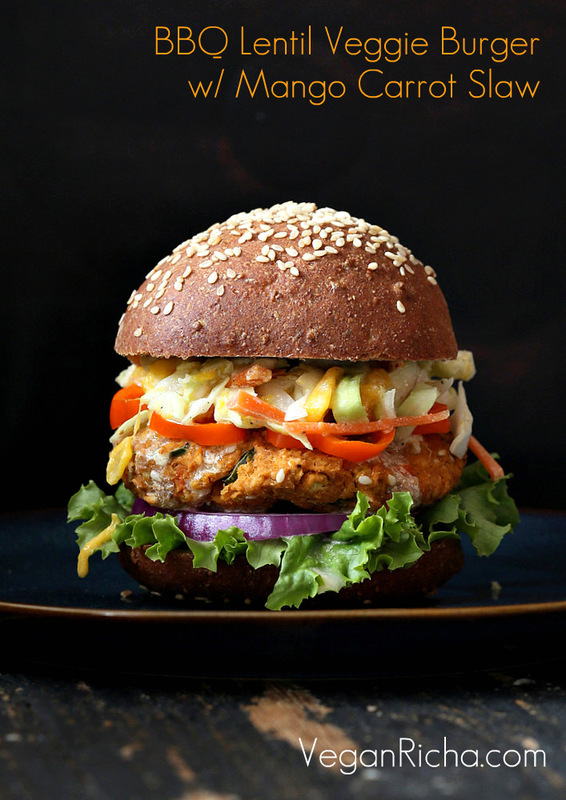 “BBQ Lentil Veggie Burger with Mango Carrot Slaw and barbecue sauce. Serve as burgers or over a crisp salad. 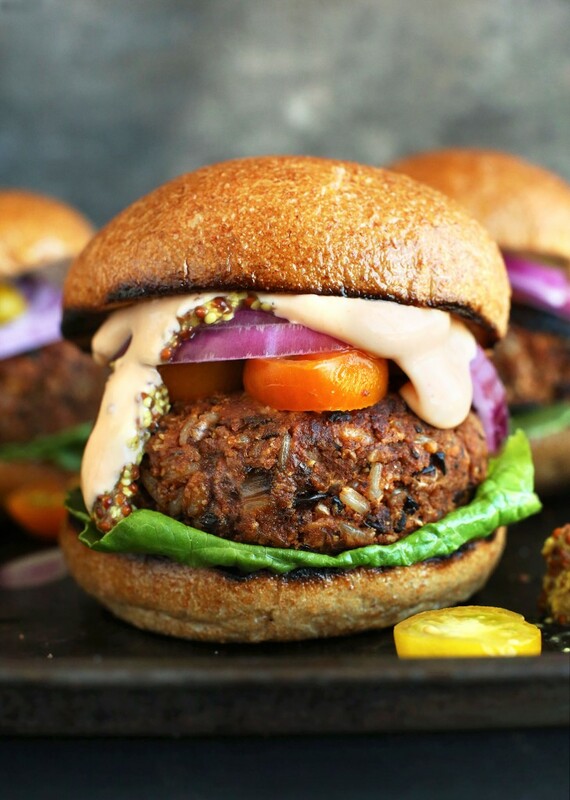 Easy lentil veggie burger. Vegan Recipe. Can be gluten-free, soy-free” Recipe: VeganRicha. “One great thing about this burger is that it is very healthy and has the potential to be practically fat-free. There is no fat added to the patties, they’re baked, and when you fry them to create that delicious, crispy crust before serving, you can always use zero calorie cooking spray. We use FAT FREE vegan mayonnaise for the Dijon Mayo.” Recipe: CrazyVeganKitchen. 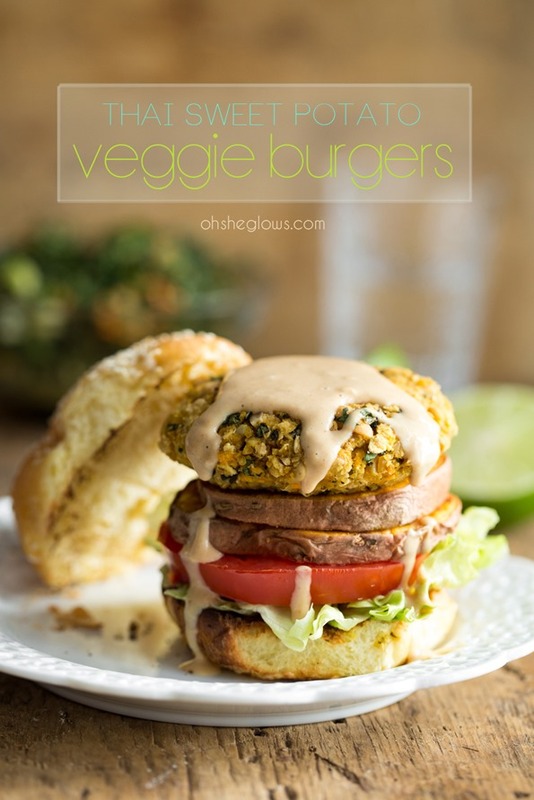 “Easy, grillable veggie burgers with just 10 ingredients (give or take a spice)! Flavorful, hearty and perfect for summertime grilling. 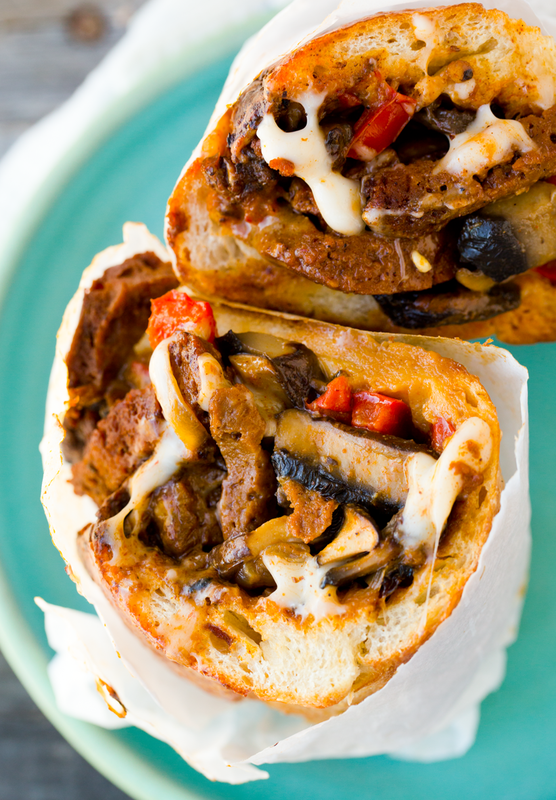 Hearty enough to please meat-eaters and vegans alike!” Recipe: MinimalistBaker. 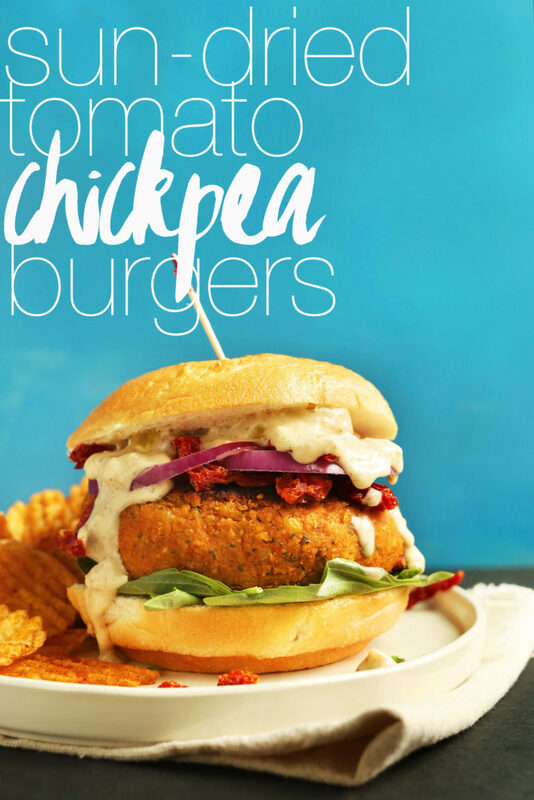 “Flavorful chickpea burgers infused with sun-dried tomatoes and fresh herbs. An easy, 10-ingredient plant-based entrée perfect on the stovetop or grill!” Recipe: MinimalistBaker. 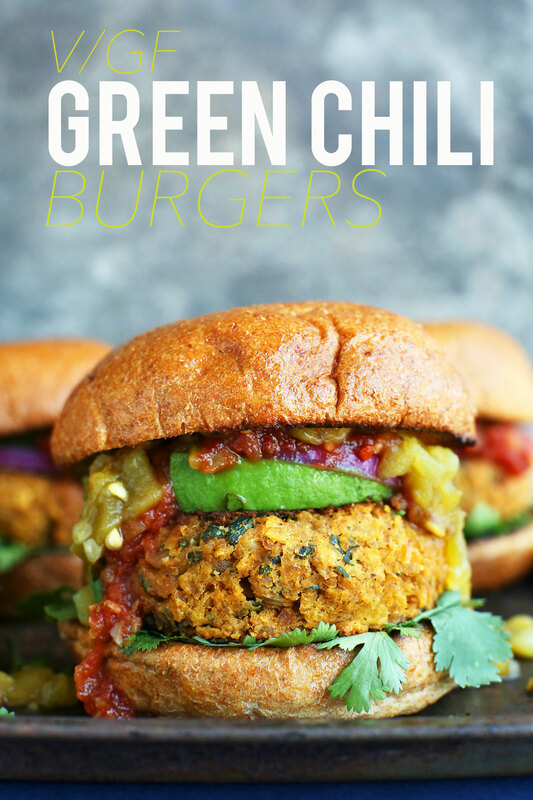 “30-minute Southwest-inspired veggie burgers made with chickpeas, green chilies, and crushed tortilla chips! 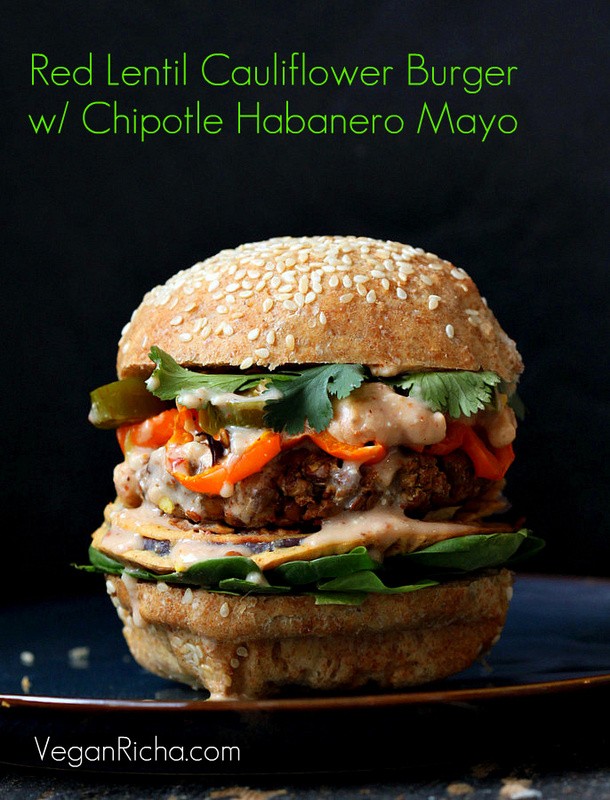 Tender, flavorful, quick, and so satisfying!” Recipe: MinimalistBaker. “So last week I started working on these Curried Sweet Potato Burgers. I needed to create something that was high in protein, filled with vegetables, and sweet enough that even Eden would love them (she’s been a picky eater recently).” Recipe: MyDarlingVegan. 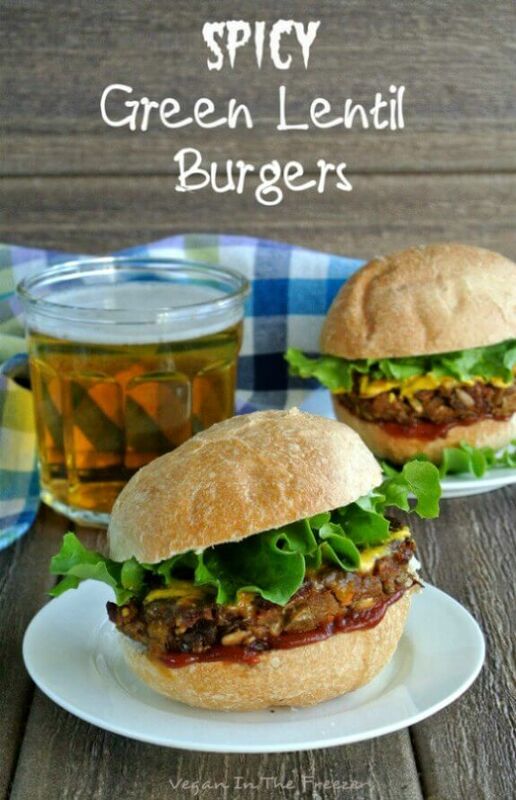 “The burger patties are baked and gluten-free, nut-free and grain-free. Serve these with a side salad and a dipping sauce and you have one delicious wholesome meal. If you like red lentils and cauliflower, this is it!” Recipe: VeganRicha. 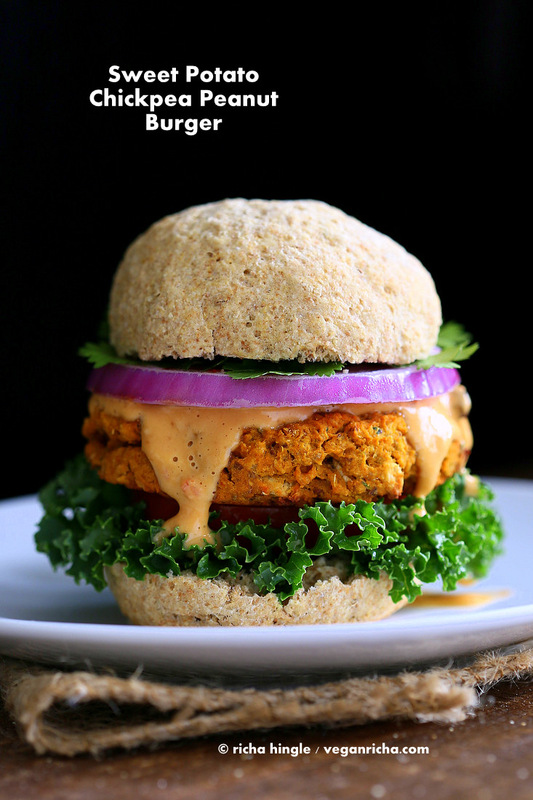 “These Chickpea Sweet Potato Peanut Burgers have an asian twist to them. Served with Almond Sriracha Sauce (use Peanut butter or seed butter for variations) . 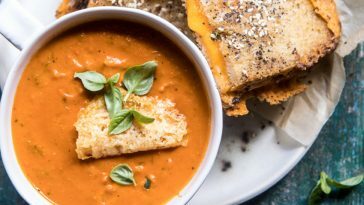 Vegan Recipe Can be made soy-free, gluten-free. 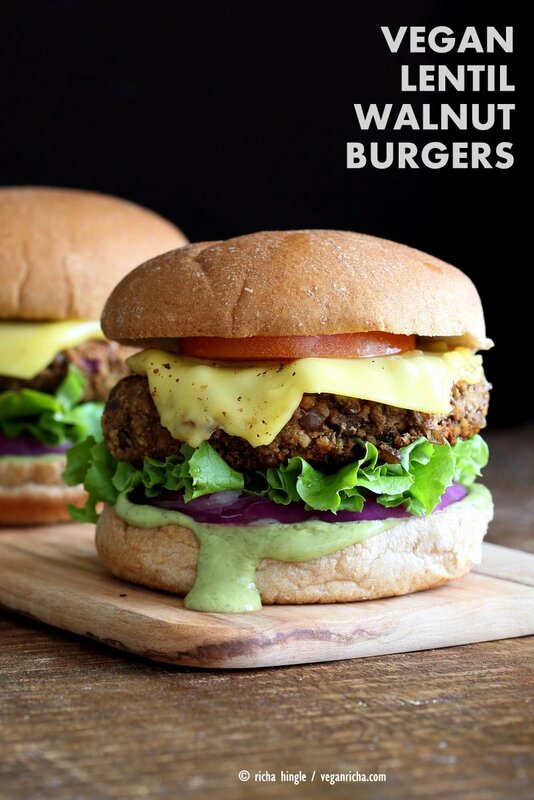 Makes 6 to 8 patties.” Recipe: VeganRicha. “They are hearty and textured, with a hint of sweetness from the red onion and the barbecue sauce. It’s the perfect balance of flavours for your perfect burger. Try it topped with your favourite salad toppings and extra barbecue sauce for good measure!” Recipe: LaurenCarisCooks. 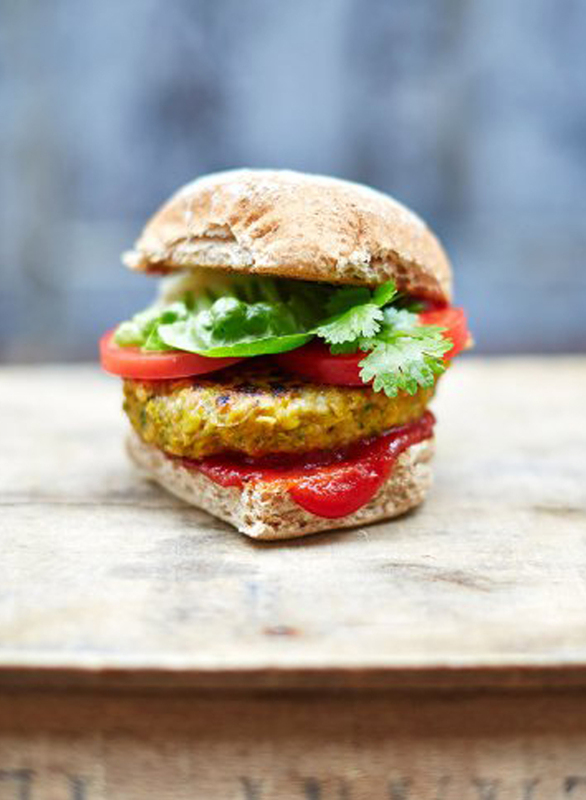 “Packed with flavour, these vegan corn burgers are healthy and seriously satisfying.” Recipe: JamieOliver. “Easy Pinto Bean Broccoli Lentil Burgers. Serve with Pico de gallo, hot sauce, guacamole/avocado and hot sauce!” Recipe: VeganRicha. 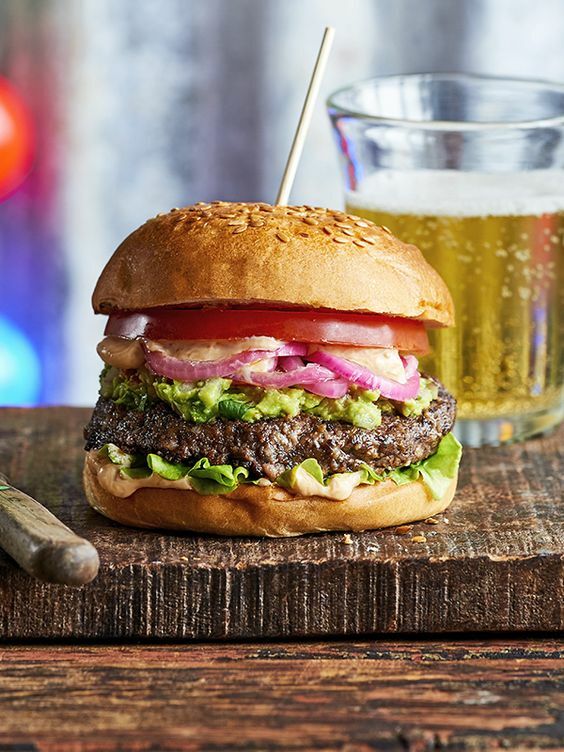 “And the best part about this burger is that it is made using WHOLE foods. No processed soy or TVP. Just whole, good, healthy ingredients like beans, walnuts, rice, seeds, spices. 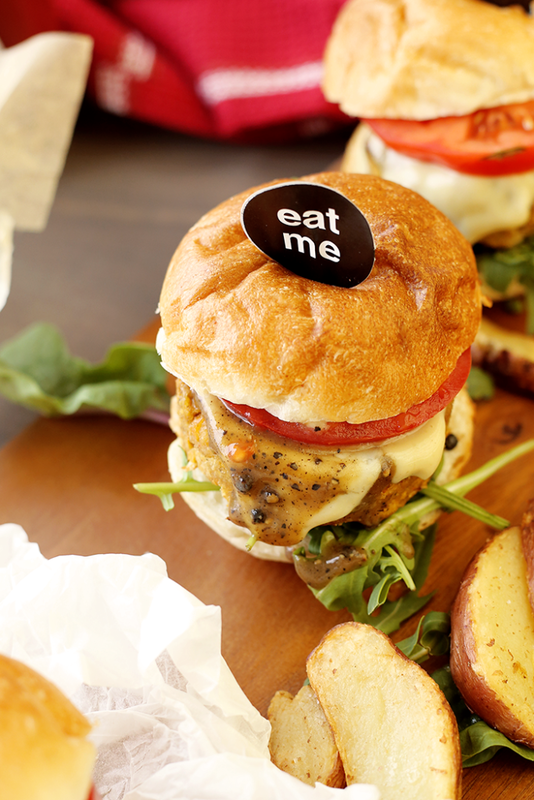 So dive in or serve up a platter of these burgers at your next burger bash.” Recipe: LunchBoxBrunch. Previous article 27 Hourglass Body Workouts That Will Give You An Amazing Fit Body! Next article 21 Beginner Ab Workouts That You Can Do At Home With No Equipment! 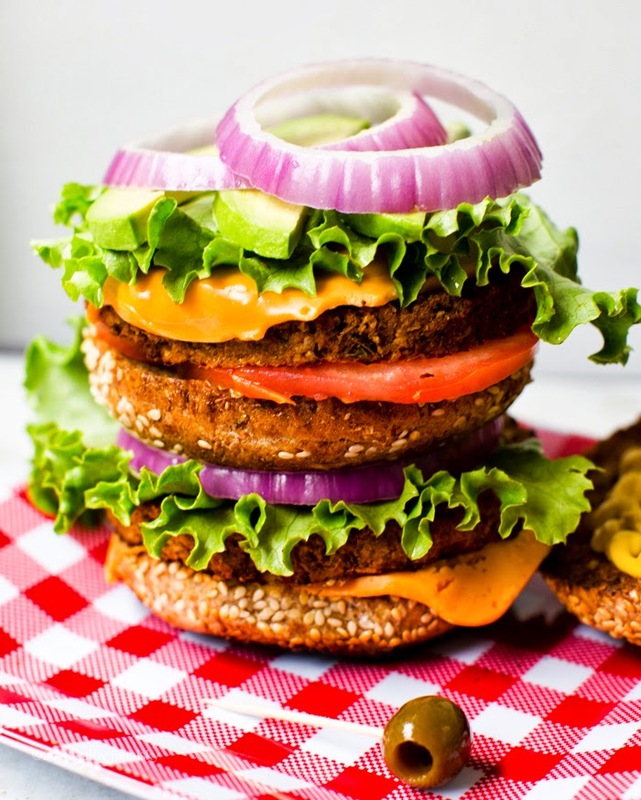 43 Incredible Meatless Burgers That Are Perfect For Vegetarians And Vegans! Angela Crickmore Lists Her Top Tips On Getting Rid Of Cellulite! 19 Foam Rolling Infographics That Will Help You Stretch, Strengthen & Heal Your Body!